While 20 games have been confirmed to be on PlayStation Classic, Only Tekken 3, Final Fantasy 7, Ridge Race Type 4, Wild Arms and Jumping Flash have been named, with another 15 to be revealed before it’s release. Games will be different between the US and Japanese versions, and no games will be added after it launches. The Classic will come with two original PlayStation controllers, and will not support peripherals or add-ons for the original PlayStation or current gen PlayStation: This means no analog sticks. It will require a USB AC will be required to charge the console, but will not come with one. It will also be required to be plugged into a TV with a HDMI cord, and will output a 720p resolution. It will cost about $150 in Australia. It comes out the 3rd of December this year. 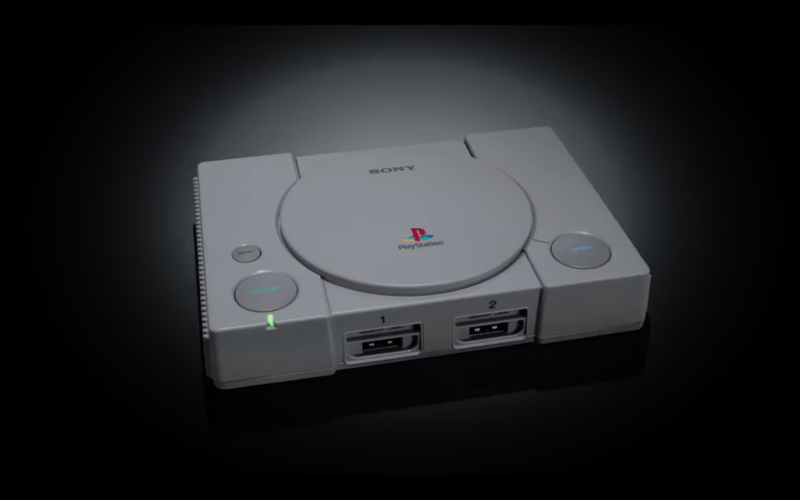 In addition to this, PlayStation Classic is currently available to pre-order from EB Games and JB Hi-Fi. However, be careful when shopping online: There are already listings on Ebay for PlayStation Classics that are priced far above the official $150 recommended retail price, with some asking for more than $400. Are you thinking of purchasing the Playstation Classic? What games do you think will be part of the remaining 15? Previous Previous post: The Walking Dead: The Final Season Cancelled, After Telltale Begins To Close Doors.